Hot Toys: We are developing the largest scale project ever in the Hot Toys history. Check out what we are assembling at the office! Guess what it is? The world famous toy company Hot Toys has unveiled their new toyline for The Dark Knight Rises. 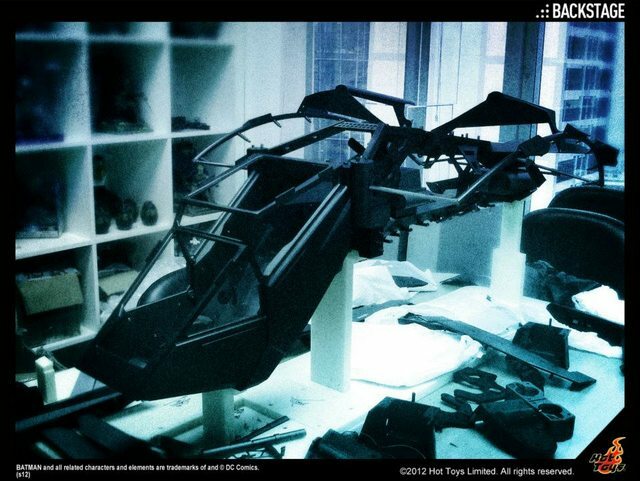 And They started showing a preview of how will the new flying vehicle of Batman will look like: The Bat is coming.